Got eggs? 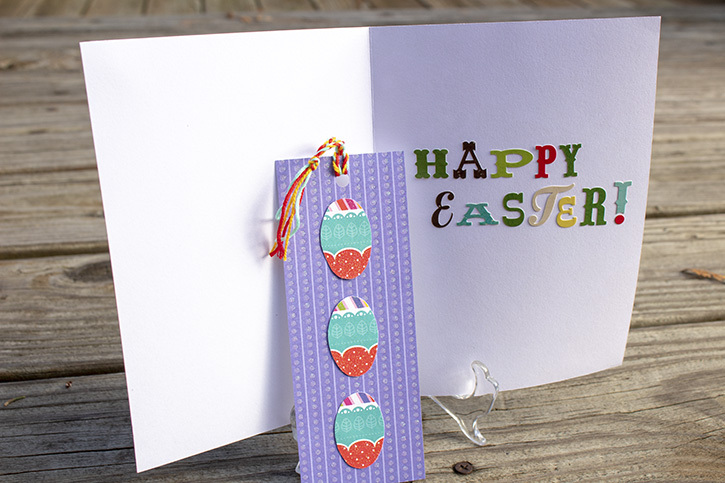 The card's recipient will when you make this do-it-yourself Easter bookmark card! 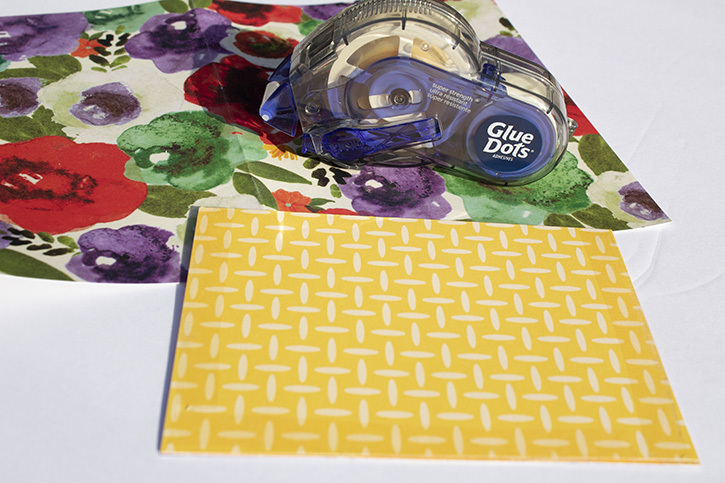 Cut paper scraps to fit the width of your card. 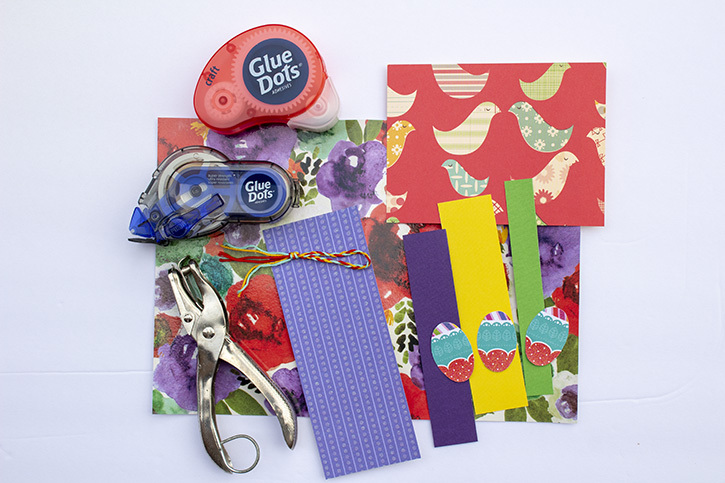 Largest scrap shown is 4" tall by 5" wide. 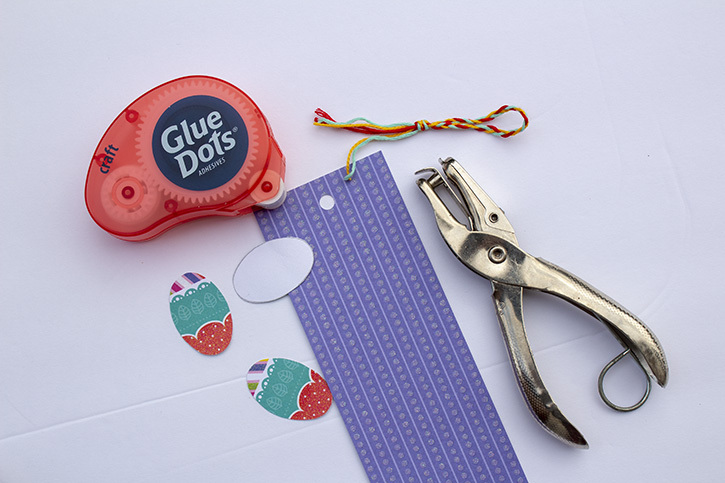 Attach smaller strips to the larger one using Permanent Gluetape. 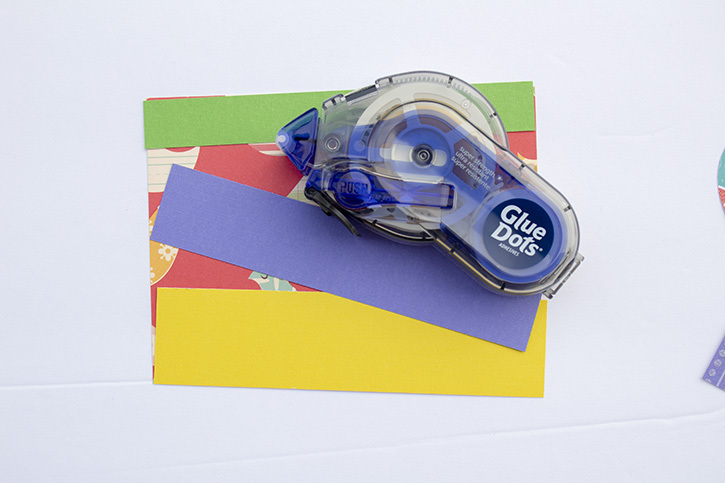 Run Permanent Gluetape around three edges on the back side of the large scrap and attach it to the card, making a pocket. 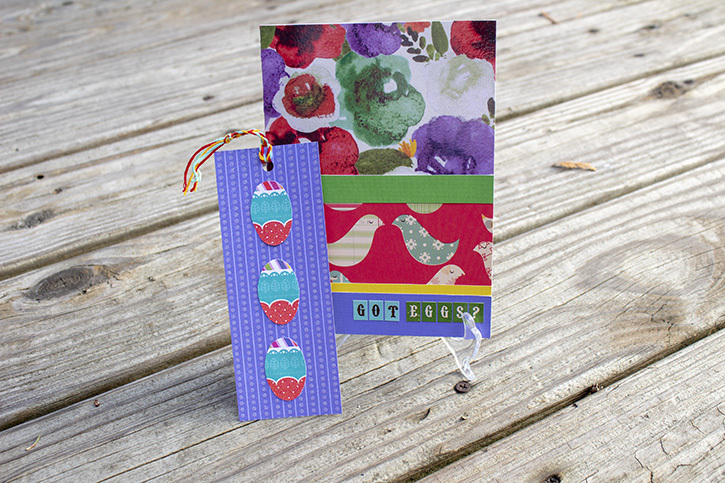 To create the bookmark, punch a hole at top of a paper scrap measuring 2¼" X 6" and insert a braided tassel made from friendship thread. 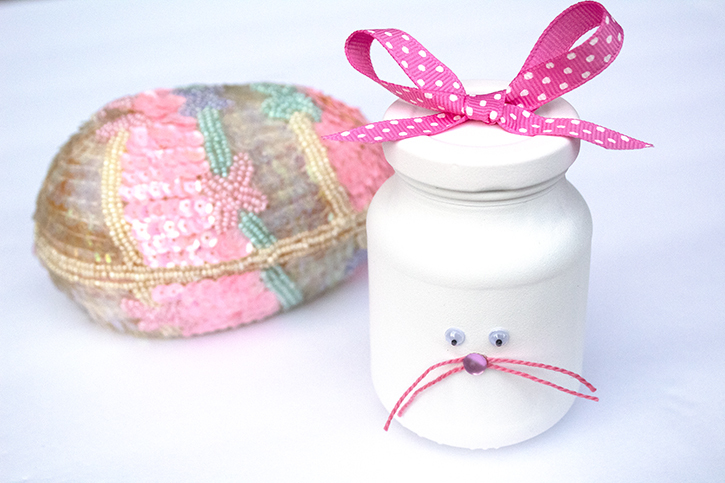 Decorate it with 1½" x 1" egg shapes made from the oval template. 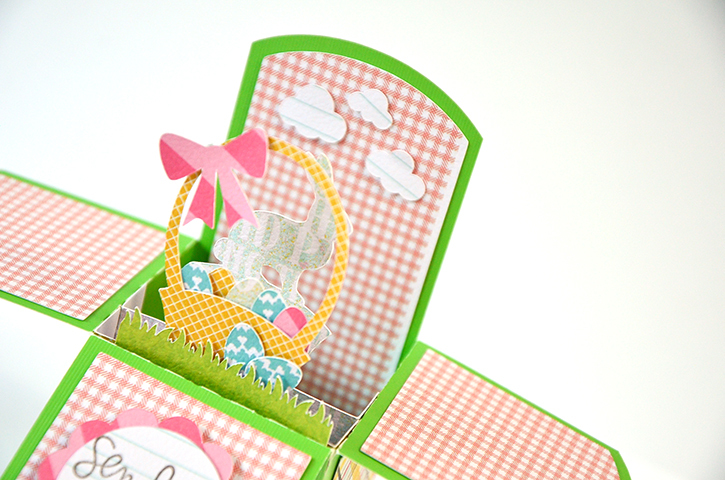 Use Craft Dots to adhere the eggs to the bookmark and insert it into your newly created pocket. 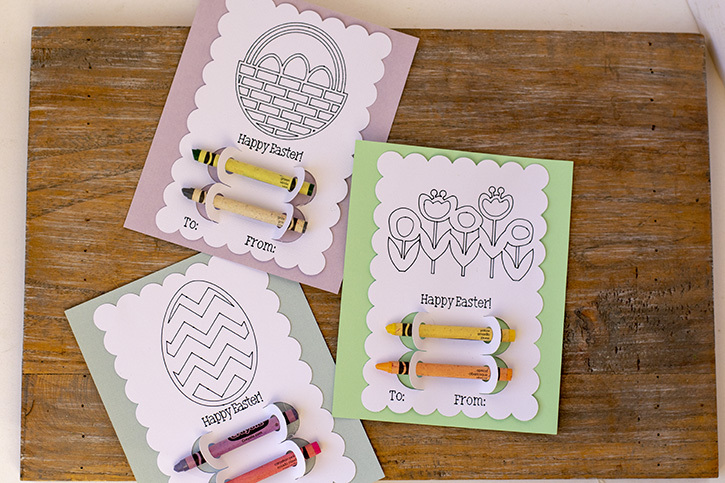 Use stickers to add words to the front and the inside of your card.